Despite the vast improvements of our understanding of the core in the last decade, the common gym goer is doing the same core training now that they would have been doing years ago. Learn which pitfalls you should avoid. Most routines people use for core training are very outdated and hard on their backs. Crunches and sit-ups work your hip flexors more than your rectus abdominis. Several core exercises put strain on your lumbar and can lead to damamge. The scene is the same in every commercial and school gym. Guys hit the weights. Ladies hit the cardio machines. Then they both meet up on the gym mats to do their "core" training. I&apos;m amazed at the archaic nature of many of the exercises. Despite the vast improvements of our understanding of the core in the last decade, the common gym goer is doing the same core training now that they would have been doing years ago. I&apos;m hoping that you, as a well-informed reader, already know what&apos;s wrong with this picture. But just in case you&apos;ve forgotten, let&apos;s take a more in depth look at these exercises. Guys Hit The Weights. Ladies Hit The Cardio Machines. Then They Meet Up On The Gym Mats To Do Their "Core" Training. These usually involve someone or something holding your feet down. Anytime you lock-in the feet your hip flexors are going to kick in and start pulling hard. Since your feet are locked, your hip flexors aren&apos;t going to flex the thing toward the pelvis, but instead will pull the pelvis toward the thigh. This may be confusing at first because we are taught to think of muscles as having an origin and insertion, with the muscle serving to pull the insertion toward the origin. This is not the case. Assuming your muscles have two attachment points (a drastic oversimplification, but it will do for our purposes here), when a muscle attempts to shorten, it does so by pulling the two attachments toward each other. Typically one end is more stable than the other, allowing it to remain relatively stationary as the muscle pulls the other attachment toward it. As an illustration of this concept, think of the biceps brachii function in a biceps curl, where it moves the forearm toward the humerus (upper arm), versus during the chin-up, when it pulls the humerus toward the forearm. 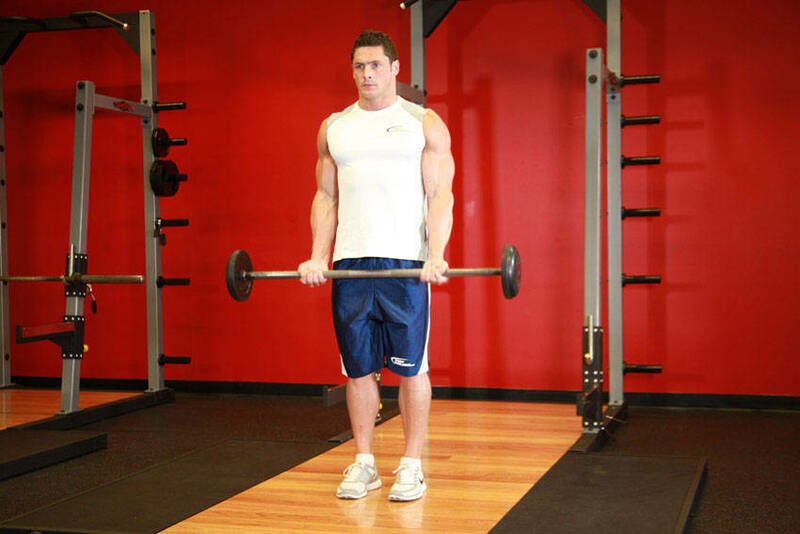 Click Here For A Video Demonstration Of Barbell Curl. As another biceps example, watch people doing heavy sets of curls. Many times on the way down their elbow angle won&apos;t change, but the shoulder blades will anteriorly tilt, and then the elbow will begin to extend. This is because the biceps brachii attaches to the coracoid process (short head) and the tubercle of the glenoid cavity (long head) of the scapula. When the forceful pull of the biceps on the anterior scapula exceeds the ability of the scapular depressors (e.g. lower trapezius) to maintain scapular stability, the scapula will anteriorly tilt, allowing the weight to be lowered without the elbow angle changing. Essentially this means that there will be a strong pull on your lower back while performing sit-ups. This will be a running theme with many traditional core exercises. It&apos;s no mystery why people that perform these movements with high volumes on a regular basis have low back pain! Click Here For A Video Demonstration Of Sit-Up. If it&apos;s sit-ups versus crunches I&apos;d recommend crunches every time. Having said that, I rarely (basically never) write crunches into the programs of my clients. Despite popular thought, the hip flexors are still producing force during crunches, even with the legs bent to 90°. On a related note, because most people are more concerned with the quantity of repetitions opposed to the quality of the repetitions, the pelvis rarely maintains a posterior tilt. As the hip flexors pull hard, and the pelvis tilts anteriorly, a significant amount of stress is placed on the lumbar spine. Even if the exercise is performed perfectly, it still probably shouldn&apos;t be used consistently in programming. Coupled with a lifestyle characterized by hours of sitting, chronic shortening of the RA through training can result in this muscle becoming somewhat permanently shortened, which can result in a depressed rib cage.2 A depressed rib cage will have a negative influence on breathing due to an altered diaphragm position and a decreased ability for the rib cage to expand and contract. It can also lead to an increased kyphotic (think quasimoto) curve of your thoracic spine, which can lead to a forward head posture, which is highly correlated with headaches. The side-lying variation (knees bent and together twisted to the side) is commonly recommended to target the obliques. Unfortunately this variation puts your lumbar spine in a rotated position. Crunching in this position leads to lumbar flexion. Dr. Stuart McGill, the world expert on mechanisms of low back pain, has been kind enough to show us that repeated lumbar flexion and rotation is a primary mechanism for a slipped disc. Click Here For A Video Demonstration Of Oblique Crunches - On The Floor. Bicycles involve lying on your back and repetitively and rapidly extending one hip and knee as you flex the other hip and knee. As I will discuss in more detail later, conceptually, this exercise isn&apos;t horrible. However, the way it is typically performed makes it a poor way to train the core for reasons already discussed. The hip flexors do the majority of the work, the pelvis moves into an anteriorly tilted position, and the low back is compromised. Click Here For A Video Demonstration Of Air Bike. The superman produces similar problems as the previously discussed exercises, but in a different direction. Since almost all athletes, and most non-athletes have tight hip flexors, lying on your stomach will result in a downward pull of your lumbar vertebrae, pulling the lumbar spine into hyperextension. This is before the movement is even started! Since the rest of the movement basically involves hyperextending the torso and simultaneously hyperextending the hips, the lumbar spine is stuck in the middle, moving into extreme hyperextension. While performing an alternate superman (lifting the right arm and left leg) may seem like a lessor evil, it basically just adds a rotational force to a hyperextending lumbar spine, which isn&apos;t any better. Furthermore, extension of the hip past a neutral position should primarily be performed by the gluteus maximus. Most people have visibly lax glutes during this exercise, instead choosing to pull with their hamstrings. This reinforces a poor movement pattern that could have significant implications in other movements. Most importantly, very few people actually have weak lower back musculature that necessitates special attention.3 In fact, many people have overdeveloped lumbar erectors as a result of poor core control. If we really analyze the musculature being worked in these exercises, we can understand that it isn&apos;t core training as much as hip flexor training. Equally as importantly, the majority of us spend most of our day sitting at a desk or in a car seat. Think about this position. This hips are flexed. The torso is flexed. The thoracic spine is kyphotic. The head is forward. So we go to the gym and do sit-ups or crunches, recreating the exact position that we&apos;re in throughout most of the day. Michael Boyle accurately refers to this as "cementing dysfunction." Again, this is clearly not the purpose of our training. Furthermore, the work that the abdominal musculature is getting is completely non-functional, meaning that the muscles are not trained in a manner that they are used in other movements. This brings about two important necessities regarding core training, the need to identify the definition and function of the core. After years of learning from some great minds in the strength and conditioning and physical therapy industries (Eric Cressey, Mike Robertson, Michael Boyle, Shirley Sahrmann, etc.) as well as researchers studying core function (Stuart McGill, Paul Hodges, etc.) I have expanded my definition of the core to include all the musculature that attaches to the hips and spine. This includes significantly more musculature than the traditional viewpoint of the core consisting of only the RA, IO, and EO. Quick Side Note: I know that some readers may not think of core training as anything but a means to an end: a six-pack. I&apos;m hoping you know that an aesthetically pleasing midsection is primarily a function of body fat, as evidence by the number of people built like Gumby that have shredded "abs." If all you&apos;re after is the look, you&apos;ll have to check your diet. Hundreds of crunches and leg throw downs will get you about as far as lying on the ground while your buddies throw medicine balls at your stomach. You&apos;ll be sore as hell the next day, but you won&apos;t look any better. Understanding the definition and true purpose of the core will allow us to progress our training of the involved musculature. In the next article I&apos;ll discuss the reasoning behind the current status of core training and where we&apos;re headed in the future. Build A Strong Core And Achieve Your Fitness Goals Faster! Do you want to lift serious poundage and gain serious mass? A strong core is the key to being able to move heavy weight which is the key to growing muscle. Find out what you need to know about core strength below! 5 Core Workouts For A Tight Midsection - A Beginner&apos;s Guide! True Core Training - The Turkish Get-Up Redefines Strength & Mass Building! The Turkish Get-Up is a highly functional movement that requires all the muscles of the body working together in order to accomplish the task. 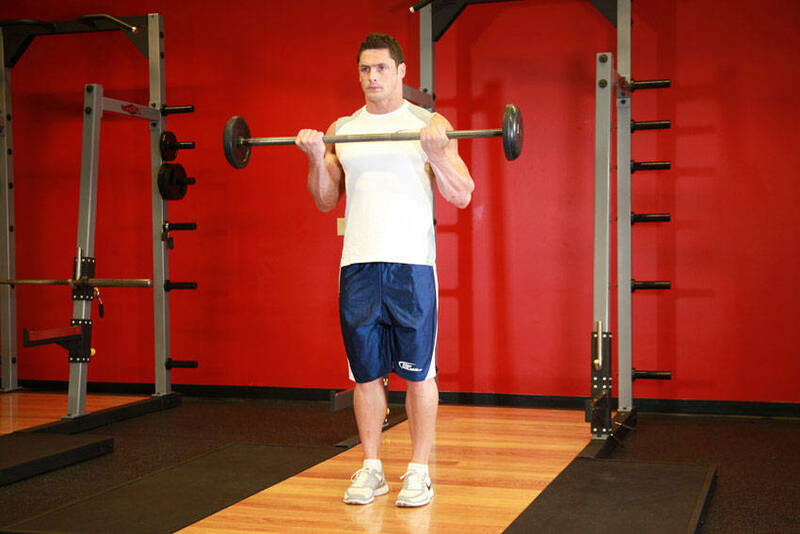 Find out exactly what this exercise is and how to do it. Build true core strength! Kevin Neeld, BSc, MS, CSCS is the Director of Athletic Development at Endeavor Sports Performance in Sewell, NJ. Through the application of functional anatomy, biomechanics, and neural control, Kevin specializes in guiding hockey players to optimal health and performance. To help hockey players and coaches develop their own off-ice programs, Kevin developed HockeyTrainingExpert.com and wrote Hockey Training University&apos;s "Off-Ice Performance Training Course," a must-have resource for every hockey program. For a FREE copy of "Strong Hockey Core Training", one of the sessions from his course, go to his hockey training site. Blankenbaker, D.G., & Tuite, M.J. (2008). Iliopsoas Musculotendinous Unit. Seminars in Musculoskeletal Radiology, 12(1), 13-27. Sahrmann, S. (2001). Diagnosis and Treatment of Movement Impairment Syndromes, 1st Edition. St. Louis: Mosby, Inc.
Kendall, F.P., McGreary, E.K., Provance, P.G., Rodgers, M.M., & Romani, W.A. (2005). Muscles: Testing and Function with Posture and Pain, 5th Edition. Lippincott Williams & Wilkins. Kibler, W.B., Press, J., & Sciascia, A. (2006). The Role of Core Stability in Athletic Function. Sports Medicine, 36(3), 189-198. Geraci, Jr., M.C., Brown, W. (2005). Evidence-Based Treatment of Hip and Pelvic Injuries in Runners. Physical Medicine and Rehabilitation Clinics of North America, 16, 711-747.